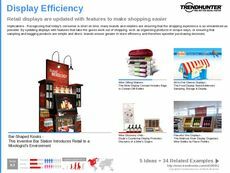 Find Better Ideas, Faster ® with a custom giveaway trend report, our PRO Dashboard and 80+ categories of premium trend reports. 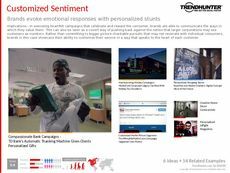 The Giveaway Trend Report explores how brands utilize sampling, contests and interactive displays to better connect with consumers. In a saturated retail market, it is difficult to stand out from the crowd. Some of the world's top-tier brands however, utilize creative marketing and promotional campaigns through trends in experiential sampling, publicity stunts and loyalty programs that often result in free giveaways. Trends in extravagant giveaways by brands like West Jet and Heineken prove that when done right, giveaways are true markers of a successful branding strategy. This report is catered towards advertisers, marketers and brand managers. By sifting through the most successful promotional giveaways by the world's biggest brands, you will gain an understanding of how this method continues to be used -- from simple street canvassing to more elaborate campaigns. 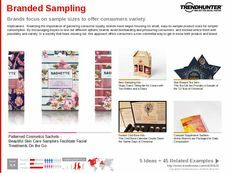 With our trend report, find out how to properly execute a giveaway campaign and gain insight into the creative and innovative ways brands utilize these campaigns to gain loyal consumers while developing a stronger brand identity.